A missing cat, lost money—why are things suddenly vanishing at Laguna Gloria? 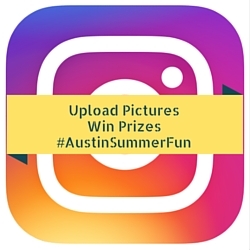 Embark on a scavenger hunt to see if you can help solve this mystery, then stick around to make an artistic pet poster using tips from Austin’s own Pet Detective! This family program is inspired by new works at the Betty and Edward Marcus Sculpture Park by artists Teresa Hubbard and Alexander Birchler and the collective SUPERFLEX.